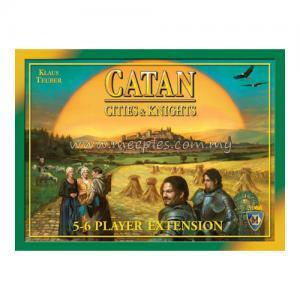 Now up to 6 players can jump in on the new adventures taking place on the island of Catan! 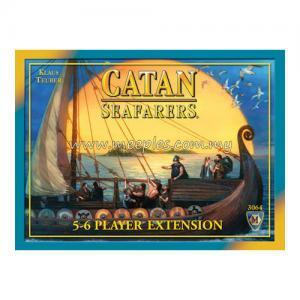 This 5-6 Player Extension for Catan: Traders & Barbarians (4th Edition) includes new scenarios and opens up roads to even greater wealth or bitter poverty for up to six players. 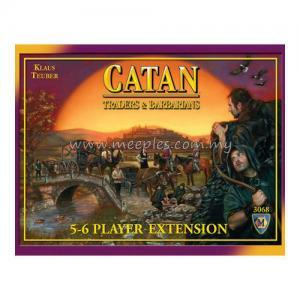 *NOTE* This is not a complete game, The Settlers of Catan (4th Edition), The Settlers of Catan: 5-6 Player Extension (4th Edition) and Catan: Traders & Barbarians (4th Edition) are required to play.